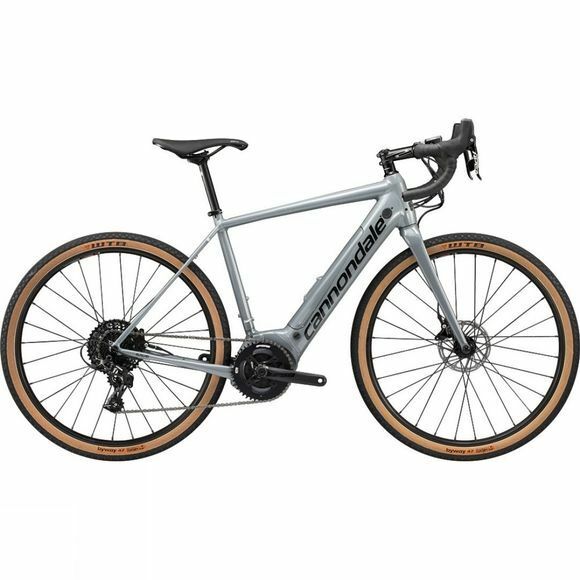 The Cannondale Synapse NEO SE 2019 is the electric-assist road bike that was created to make every route achievable. On the Synapse NEO, the road is now open to all. With smooth, silent power, comfortably sportive position, and massive range, this electric-assist road bike is built to turn "I wish I could" into "I just did". With hill-levelling power, all-day range and a comfortable, confident rider position of this electric road bike makes the beauty of road riding open to all. Unlike many e-road bikes, the Synapse NEO is designed with a full 500Wh PowerTube battery, which integrates cleanly into the downtube and packs enough energy for even the longest days. The modern, organic forms and stylish integration of the PowerTube battery, custom motor-mounting node and motor cover give the Synapse NEO a holistic look that's unmistakably Cannondale. Adding to the Synapse NEO's versatility, an elegant removable fender bridge lets you add protection when the weather turns foul, without cluttering the looks when it's nice. Prewired front cables make the Synapse NEO ready for front and rear lights, so you can outlast the sun.